Artificial Intelligence (AI) and robots remove humans from repetitive work under time and health constraints. Fortunately, tackling complex change is learned and managed. Knowing when to reinvent itself, this is a challenge for all companies, who will transform the race with the machines into a relay race and not a chase. Those who will be able to take or pass the relay to the machines gently will be the big winners. However, it would be illusory to think that the development of AI in the world of work is a great success, but everything is not black, nor is all white, and these same technologies also create new professions, thanks in particular to the massive data processing, «the new black gold» of the digital economy. 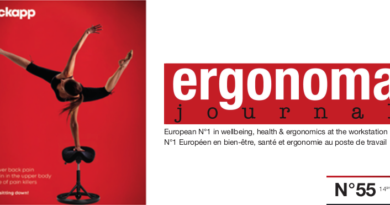 They also constitute a major risk for individual freedoms, so to help you better understand the mechanisms, we develop in this issue of Ergonoma Journal a «white paper» entirely dedicated to data mining solutions that offer certain guarantees as to the anonymity of the information generated: read p. 34 – 37.